Please feel free to join me at the Mountain Queen Cabin and share some food and connection time! It’s always great to find out what friends have been up to and meet new friends. Share your accomplishments, your challenges and your inspiration. 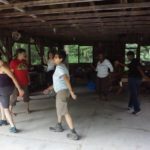 Find out what’s happening at Camp Earth Connection and abroad this season. Please RSVP at campearthconnection@gmail.com if you are able to. I hope to see you all soon. 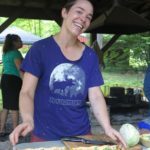 Below are some of our past retreats and events at Camp Earth Connection. Please join us for a gathering of women who are committed to healing as a community and healing the Earth. 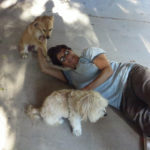 Learn more about Healing Hearts Retreats and other Camp Earth Connection Programs. Free and open to women of all ages. 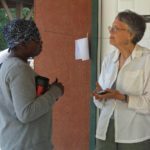 Healing Hearts is seeking a few volunteers – areas of interest include: Vegan and Vegetarian Cooking, Marketing and General Outdoor Yard Tasks. Please complete the volunteer application below and submit. Volunteers receive a partial discount on registration. Discount varies with volunteer positions. The Healing Hearts Women’s Retreat provides a safe space for women to support one another in our individual and collective journeys in healing and growth. 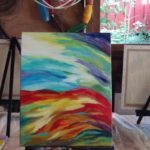 Through the exploration of the arts, healing arts, and connection to the earth through workshops, performances, and unstructured activities we will give and receive from our knowing, expertise, and experience so that each may heal more deeply and stretch into living her truth more fully. Our aim is to deepen our sense of community among women, increase our personal peace and well-being, and empower ourselves to be more effective in whatever service we offer the world. We welcome a richly diverse population of women who vary in color, size, age, sexual preference, socioeconomic status, and persuasions of all kinds. 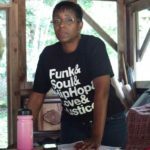 Workshop Presenter & Performer Proposals for the 2017 Healing Hearts Women's Fall Weekend Retreat are now being accepted. 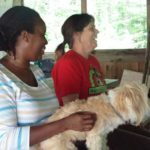 The Healing Hearts Women’s Fall Weekend Retreat will be held on September 8-10, 2017 at Camp Earth Connection. Workshop proposals are now being accepted for the Fall Retreat. If you are a returning Healing Hearts Presenters or a past participant, and you are interested in returning as a presenter, please contact Healing Hearts and prepare a proposal by May 15th. If you are new to Healing Hearts please contact one of the directors (Susan or Sherron) to set up an interview to discuss your interest. Selected presenters will receive 150 dollars off their registration fee. 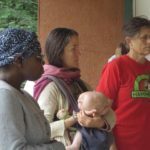 Join us at the Mountain Queen Cabin at Camp Earth Connection to learn more about Healing Heart Retreats or to re-connect with the Healing Hearts community of women. All women are welcome. Teens are welcome to attend with a guardian. Bring a friend. 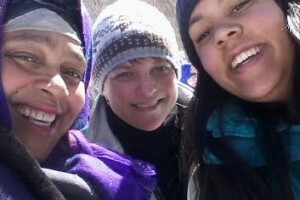 Join your Co-Leaders Sherron & Susan for the 3rd annual Winter Weekend Retreat. Enjoy yoga, writing, hot-tubbing, and nature exploration. Make connections & candles and begin exploring what you need to move forward in your journey, in this challenging new year ahead. Stay at the peaceful Mountain Queen Cabin at the top of the hill at Camp Earth Connection. Limited to 14 women. 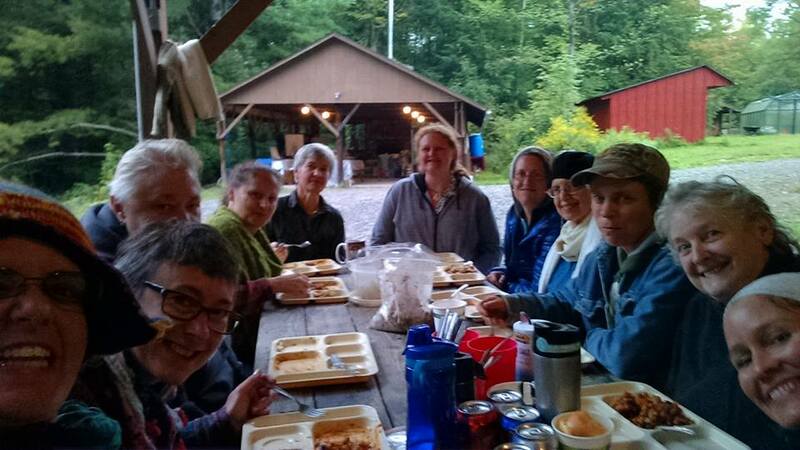 Join us for a beautiful Fall Day Retreat at Camp Earth Connection. The day will include a walk in the woods, meditation, writing, campfire cooking and some zen archery. A great way to relax and spend a day in nature. Bring your bathing suit to enjoy some time in the hot tub. 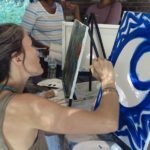 This weekend retreat will offer a balance of opportunities to recharge and relax while creating community through learning skills and working together. You will foster new and old friendships while building a beautiful and functional picnic table together that will be donated to a local organization in need. The retreat commences with an afternoon hike (optional) and will include delicious vegetarian meals and a campfire at least one evening. Days will start with yoga and/or meditation and movement practices. By using some of our evening time together to cover carpentry lecture topics, our days will be free to learn hands on skills at a relaxed pace and still accomplish our shared goal of building a beautiful table. Join us for the 6th Annual Helaing Hearts Fall Retreat. 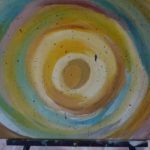 We have some exciting new workshops as well as some of our old favorites. 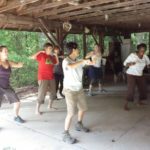 Workshops & Activities include: Zen Archery, Salsa Dancing, Hip Hop Dancing, Writing in Nature, Yoga, Reiki, Divination, Wildlife on Hammond Hill, and more. Check out our Schedule of Events & Meet the Presenters! A day for you! 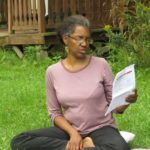 Join Susan & Sherron who will be co-facilitating a day of relaxation, meditation and connection at Camp Earth Connection through Yoga, Reading, Writing and/or Walking activity. Women will design their day to meet their personal goals. Spend time walking on trails in the woods, sitting by a pond, writing or hanging out by the campfire. A group orientation will be held in the morning. 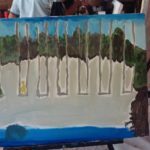 There will be three optional workshops/activities: Yoga, “Walking with Awareness” to help you heighten your senses as you experience the forest; And “Prepare to Write” designed to help you with focus and creativity. We will join together for a shared vegan/vegetarian lunch & hot beverages and snacks will be available throughout the day. Cost: 50-100 dollars sliding scale. Send us an e-mail and let us know you are coming! Join us for the 2nd Annual Winter Weekend Retreat at the Mountain Queen Cabin at Camp Earth Connection. This is a wonderful weekend to explore the outdoor winter wildlife at Hammond Hill, and to seek peace and solace in winter hibernation and activity in nature. If weather permits we will have Introductory X-Country Skiing and Snowshoeing available as well as an Outdoor Hot-Tub. Workshops Topics may include: Introduction to Vegan Cooking; Gentle Yoga for Women of all Abilities and Shapes with Sareanda Lourdes; Paz Con Dinero (Peace with Money) w/ Becki Hawley; Winter Outdoor Bowling, Exploration Winter Wildlife Walks, “Facing Life and Death” with Kellie Lamoreau; and “I Envision – Vision Board Making” with Sherron Brown. Vegetarian/Vegan Meals and Cabin Lodging included. This is an alcohol and drug free event. Registration Fee (Sliding Scale): 150-300 dollars. Bring your mug for hot chocolate, coffee, tea or cider and join us around the campfire as we celebrate the Winter Solstice at the Mountain Queen Cabin at Camp Earth Connection. Feel free to bring your worries and wishes on paper and turn them into ashes as you send them off to the universe. Attend one or all of these workshops. 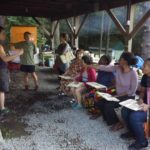 Backpacking Basics is a series of hands-on workshops for women interested in learning more about camping in the woods and experiencing more connection with nature. This is an Introductory program and will include hikes of 30-60 minutes on Fridays and a 2-3 hour hike on Saturday (for the retreat/trip.) Friday Sessions are September 18, 25, and October 9th from 1-4pm. 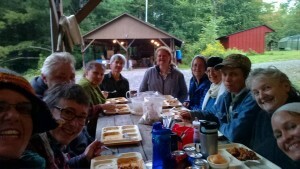 The Day Hike Retreat is Saturday, October 10 from 9am -4pm. Friday programs suggested donation is 15-30 dollars and the Day Hike Retreat suggested donation is 25-50 dollars. No one will be turned down for inability to make a donation. effective in whatever service we offer the world. We welcome a richly diverse population of women who vary in color, size, age, sexual preference, socioeconomic status, and persuasions of all kinds. See below for information on volunteering, presenting or performing. 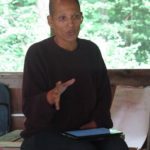 Saturday, May 2nd: Spring Work Day begins at Noon at Camp Earth Connection. We will be raising the “Helianthus Room” or greenhouse and planting it, in addition to other Spring Camp tasks. Women of all ages (teenagers included) are invited to a dish to pass gathering at the Director’s Cabin. This is a great chance to re-connect with friends from the retreats or learn more about the Fall Healing Hearts Retreat. We will be talking about Volunteer and Presenter opportunities. Please feel free to bring a friend. RSVP if possible at campearthconnection@gmail.com You are invited to bring some food to share, but it is not required. 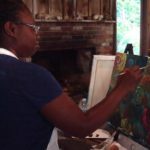 Join us at the Mountain Queen Cabin at Camp Earth Connection for a day of community women. This day is designed to help you find peace and direction in your life through activities which connect you with nature, each other and your self. Activities include: A guided snowshoe walk to the nature preserve; An introduction to sit spot meditation; “Sharing from your Heart” – Inspirational Stories from women of our community; and a delicious and healthy vegan and vegetarian lunch and snacks. 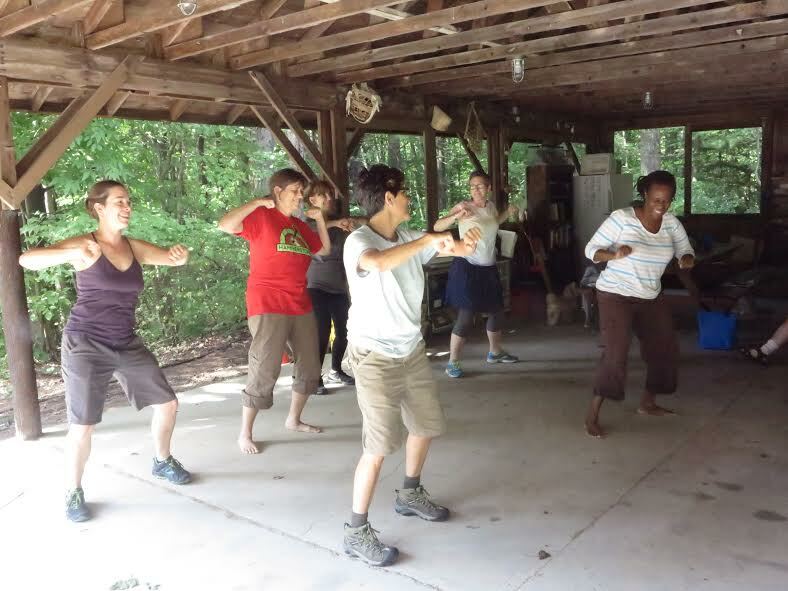 A wonderful opportunity to treat yourself to a peaceful weekend women’s retreat at Camp Earth Connection. Join us for Yoga, Massage, Meditation, Vegetarian and Vegan Cooking, An Outdoor Hot Tub, An Introduction to Snow-Shoeing, X-Country Skiing and Winter Bowling. For those experienced at snowshoeing and skiing, you can explore the trails adjacent to the camp. Explore the woods on a guided walk and discover the wonders of the winter including animal signs and tracks. Learn to cook healthy vegetarian and vegan meals as we explore some wonderful recipes from local cookbooks: Moosewood Cookbooks and The Great Life Cookbook and together prepare our meals. Choose to reserve a bed in the cabin on the hill, or the one room cabin at the camp. Reserve your spot now. Limited space. Cost: 325 with lodging; 250 w/out lodging. Early bird special: Register by December 12th and get 25 dollars off price.